Put it like this: Peugeot forced the name change. 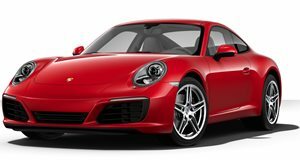 For those who don’t know, the Porsche 911 originally wasn’t called 911. Back in 1964, Porsche was gearing up to launch its 356 replacement, and it chose the name 901. But there was a problem with that as Peugeot claimed a trademark dispute, and production of the new coupe had already gotten underway in Stuttgart. And so Porsche, literally at the last minute, renamed the car 911. However, until that change happened, those first production cars were called 901, later to be sold as the 911. Needless to say, those first examples are very rare and worth a lot of money, and yet Porsche didn’t even own one for its official museum. Until now. Porsche has just announced that after a three-year restoration, 901 No. 57 is now on display. It even has its own special exhibition, very appropriately called “911 (901 No. 57) – A legend takes off.” But the story behind No. 57 is what’s really interesting. Back in 2014, a German TV crew for an antique show was working in an old barn and came across two old 911s. After reaching out to Porsche, it was discovered one of the two was chassis number 300.057. Porsche didn’t waste any time and bought both old 911s and got to work. No. 57 was never previously restored, and that actually made things easier for the restoration team because the car was completely authentic. The engine, transmission, electrics and interior all required major work considering all the rust and other decay. But the end result is quite stunning, and No. 57 rightly deserves its museum perch, as opposed to that old barn.